If you walk through the plumbing section of your local home improvement store, you’ll see a wide variety of tools—so many, in fact, that you may have trouble deciding which one you need for your plumbing issues. In this post, we will help you find the right home plumbing tools for your needs. As you look at the different tools, remember that your plumbing function is your top priority. Be sure to select tools that can help you fix leaking pipes, unclog the drain, and perform all the nitty-gritty plumbing tasks. There is a whole world of difference between fixing a broken pipe and fixing a broken drain. You do not want to spend your hard-earned money buying the wrong equipment. Pipe wrenches are used on pipes close to walls. This is a classic tool of choice for plumbers. The basin wrench is used for tightening and repairing old and worn faucets. The professional ones consist of a telescopic shank that can handle a 90° position for better precision. As the name suggests, a hole saw cuts holes in concrete, plastic, wood, and more. You can use it for various plumbing purposes. This tool can cut various shapes and sizing of copper tubing that are used for plumbing. The rib joint pliers provide excellent grip and are made for tightening and turning bolts, fittings, pipes, and more. 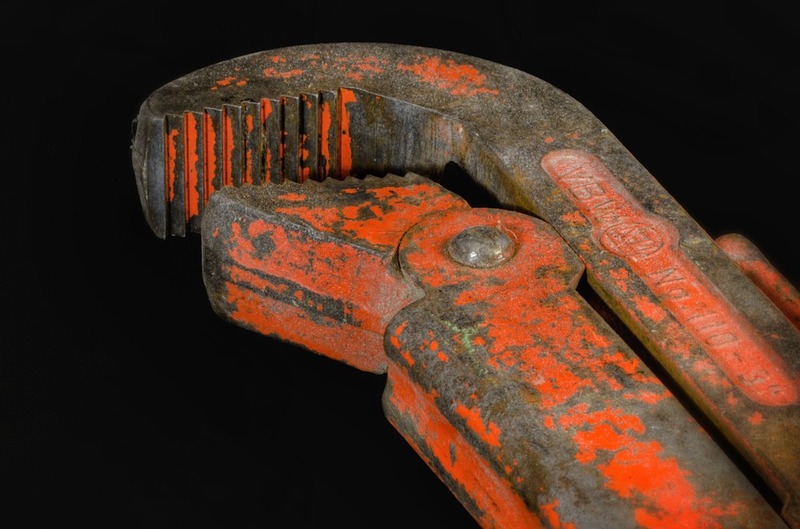 Channel locks are another name for tongue-and-groove pliers. Channel locks play an integral part in plumbing. A lot of plumbers use them to stabilize pipes and even unscrew them. A plumber often owns two channel locks. These are used to smooth out the rough edges of cut cables. Whenever the plunger is unable to do the job, it would be useful to have the auger. This is a metal cable coiled up and comes with a crank that rotates the cable. There are plenty of other specialty tools, but if you’re building up your arsenal to address plumbing problems at home, these are the best ones to start with. And if your DIY efforts aren’t fruitful or if a problem seems to big for your scope of expertise, call a professional plumber for help. You don’t want to take chances when it comes to plumbing issues.